Demonstrators in central Beirut hurled empty water bottles at Lebanese Prime Minister Saad al-Hariri on Sunday when he tried to calm hundreds of people protesting against proposed tax hikes. Carrying placards and banners, around 2,000 people flooded Riad al-Solh square to protest against tax hikes that parliament is considering in order to fund public sector pay rises. “The road will be long ... and we will be by your side and will fight corruption,” Hariri vowed. But protesters shouted “thief” and threw plastic bottles at the premier, who left soon after. On Twitter, Hariri later urged organizers to form a committee “to raise their demands and discuss them positively”. Scores of policemen barricaded the entrances to the government headquarters and parliament during the protest, which followed three days of smaller demonstrations in Beirut. Lebanese authorities are seeking to raise taxes to help agree a deal on increasing wages for public employees, part of a wider effort led by Hariri to approve the country’s first state budget in 12 years. Lawmakers approved several tax hikes last week, the most prominent being a one percentage point increase in the sales tax. In the coming weeks, parliament still has to approve other increases, and the president must then sign off on all of them, before the new taxes take effect. 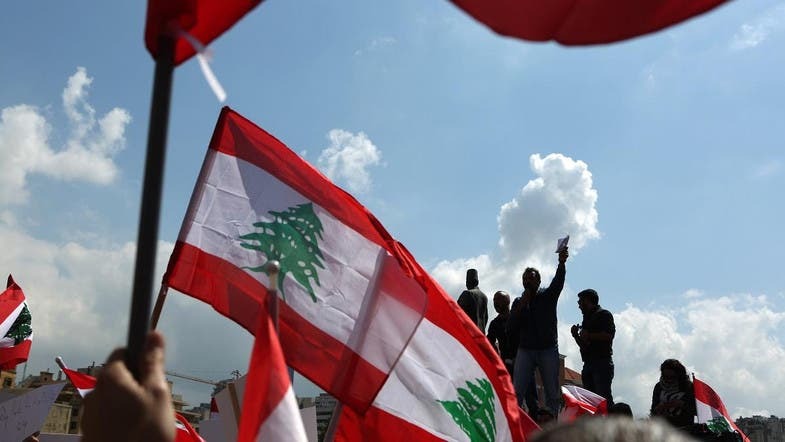 Protesters flocked to Beirut on Sunday, waving Lebanese flags and blasting the words “We will not pay” through their megaphones. Signs and slogans accused parliament of corruption. “Take your hands out of my pockets,” one placard read. Various civil society groups and some leading political parties have called for people to take to the streets and protest against the taxes in recent days. The Christian Kataeb party and the Progressive Socialist Party, led by Druze politician Walid Jumblatt, have staunchly opposed the new taxes. The Shi’ite Hezbollah movement has also voiced reservations about some of the increases. Sunni leader Hariri was appointed in October in a power-sharing deal that saw Michel Aoun, a staunch Hezbollah ally, become president after years of political gridlock. Hariri’s unity cabinet includes nearly all of Lebanon’s main parties.